Hi friends! How’s it going? I’m still recovering from an epic weekend filled with fun travels and celebrations. Not only did I visit Charlotte but Isaac and I also celebrated our anniversary in Williamsburg. I could try to recap the whole weekend in one post, but I think it’s best if I divide it into two. 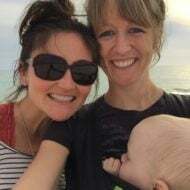 I had such a great time celebrating the soon-to-be mama and meeting some of her close friends, including Brittany who I’ve been wanting to meet for ages. The shower was held at Alton’s Kitchen and you could tell that Julie’s mom and sister put a lot of time and effort into planning and hosting everything. 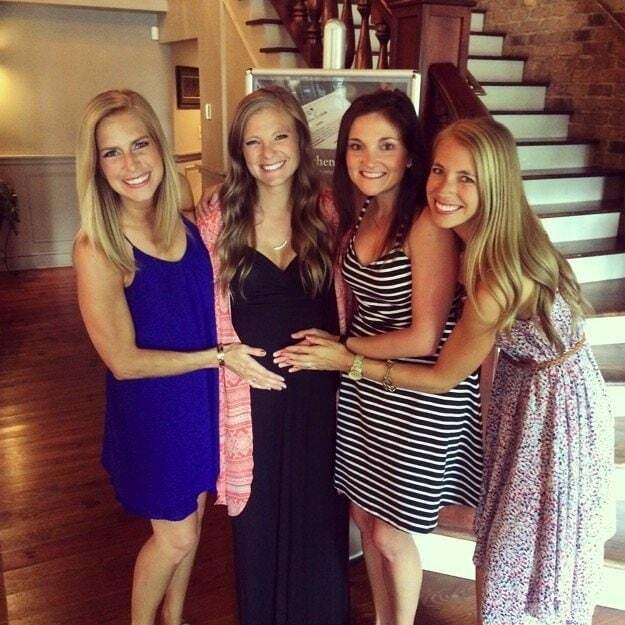 Baby Fagan is already so loved. 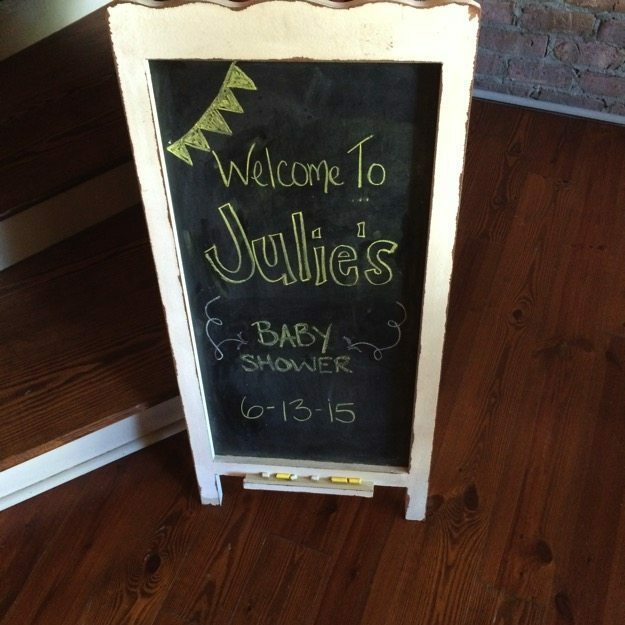 If you happen to be planning a baby shower, definitely check out Julie’s recent post for inspiration. I love the baby’s breath centerpieces and the candy bar game was a huge hit with everyone! And how cute are these little macaroon party favors?!? On our way to Charlotte we made a quick stop for dinner with Alyssa’s cousin, Kristie at DJ’s in Salisbury. It was a great way to break up the trip and it was fun to see Alyssa’s old college stomping grounds. 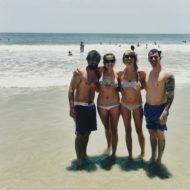 Although we were only in Charlotte (well, right outside of Charlotte) for about 24 hours, I feel like we got to do quite a bit. Alyssa’s cousin (Devon), his wife (Katie) and their adorable six-month old (Chase) graciously let us stay with them on Friday night. We arrived kind of late so after quickly catching up we hit the sack so that the girls could wake up for an early morning Pure Barre class taught by Julie (another blogger!) at the Lake Norman studio. It’s always so much fun to LTB while traveling. I love seeing the different studio setups and taking class with new teachers. 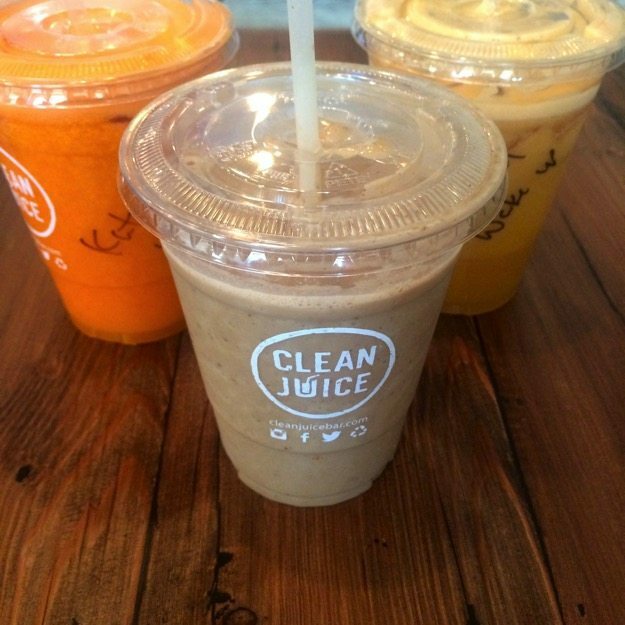 After class Katie, Alyssa and I stopped by Clean Juice Bar to refuel. 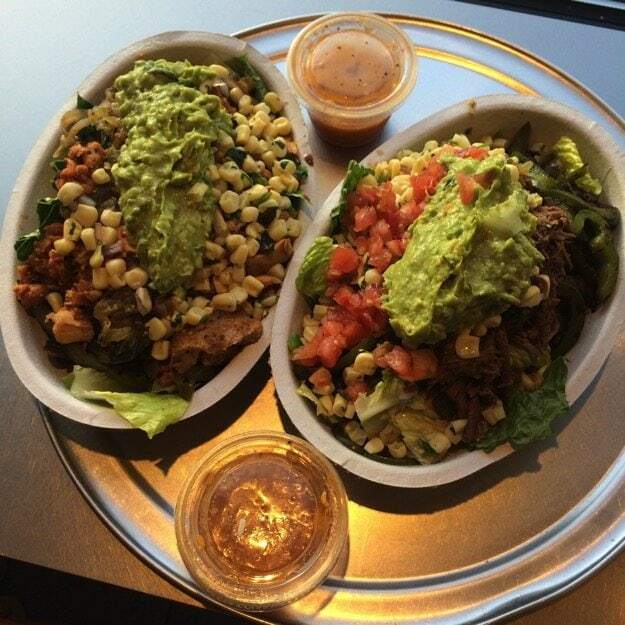 It’s literally right beside the Pure Barre studio so it was a no-brainer. 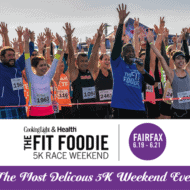 I had The Coffee One with coffee, banana, almond butter, dates and almond milk. It was delicious and reminded me a lot of the cold brew mocha smoothie I recently posted. 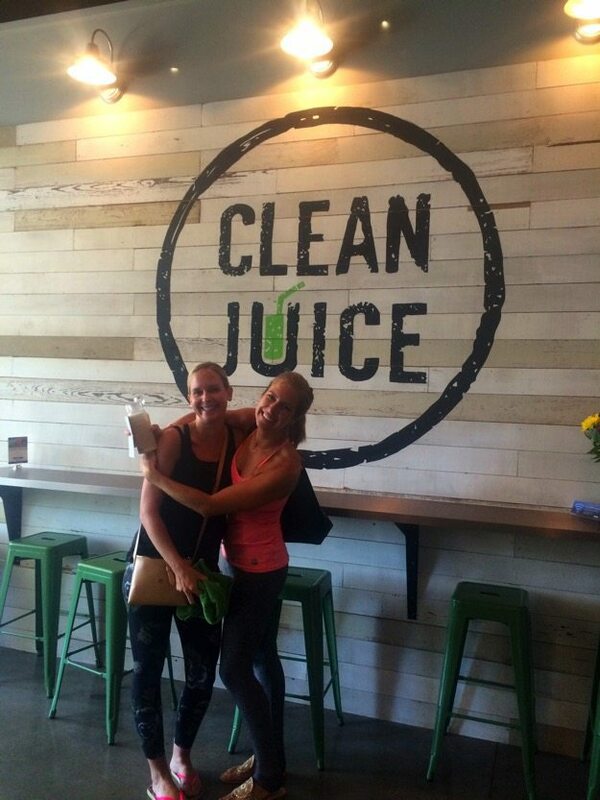 Alyssa and Katie got juices — The Wakeup One and The Energy One. I tried both and they were awesome. I’ve decided a juice bar needs to open next to our Pure Barre studio in Richmond ASAP. 🙂 A side by side Pure Barre studio and juice bar is seriously the best combo. 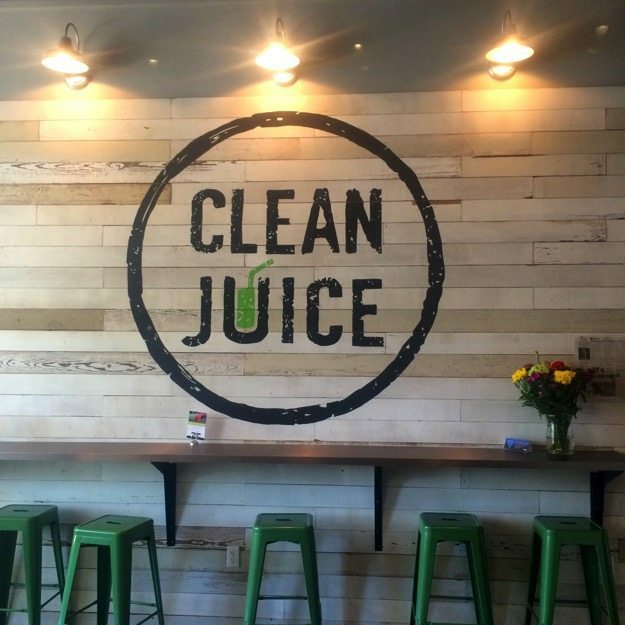 I’m actually really surprised that Richmond doesn’t have a juice bar yet. We do have Ellwood Thompsons, which is awesome but we don’t have any stand-alone local juice, smoothie or salad shops. I want one — or all three. Saturday afternoon we grabbed iced almond milk lattes from Water Bean (so good!) and spent time with Alyssa’s family, which mainly involved watching and playing with Baby Chase. It’s crazy how cute and entertaining babies can be! After being indecisive about what time we should leave to head back to Richmond we ended up simply grabbing Chipotle for a quick dinner and hitting the road home. We wanted to hang out a bit longer, but we also knew we had a four hour drive ahead of us. Eight hours of driving over the course of two days is a lot, but luckily Alyssa and I had lots to talk about, good jams and plenty of snacks to keep us busy. Alyssa makes epic playlists and knows the words to just about every song ever created so we had a blast singing and dancing the whole trip. Our theme song was this little number by Luke Bryan but we also went crazy over old school tunes like Remix to Ignition, Watermelon Crawl, Summer Girls and Don’t Take the Girl. So much fun! What’s your favorite thing to do on a road trip? 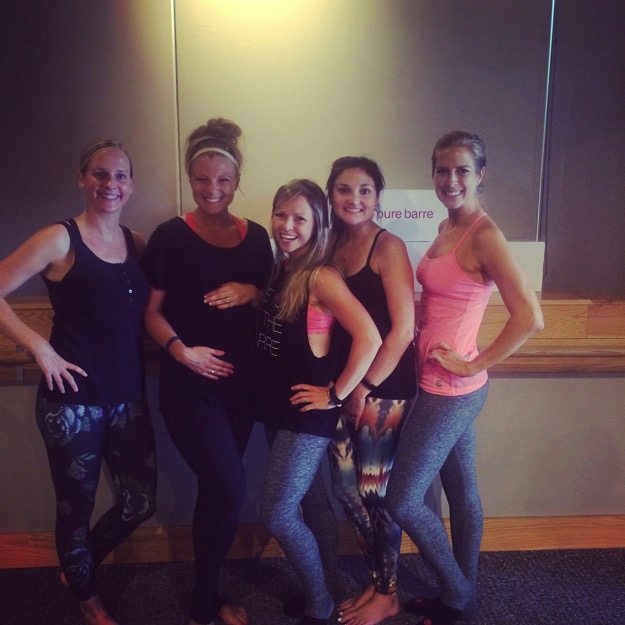 Pure Barre + fresh juice = a great combo! My favorite thing is definitely to jam out to a new playlist!! The baby shower looks too cute!! Your driving music is my kind of driving music! What a fun weekend! 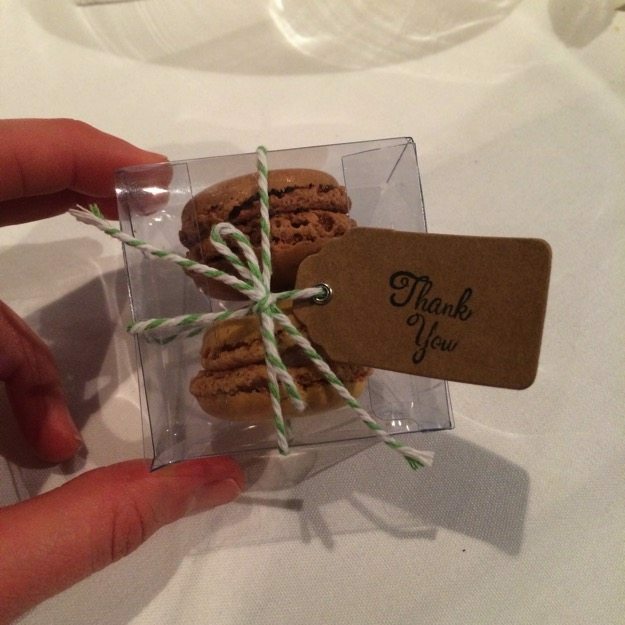 I love those macaroon party favors! What a fun trip! I like podcasts for long trips. Especially when music gets to be too much. Oh thank you fro these flash back songs! I just added them to my Spotify list!! This looks like such a fun weekend! 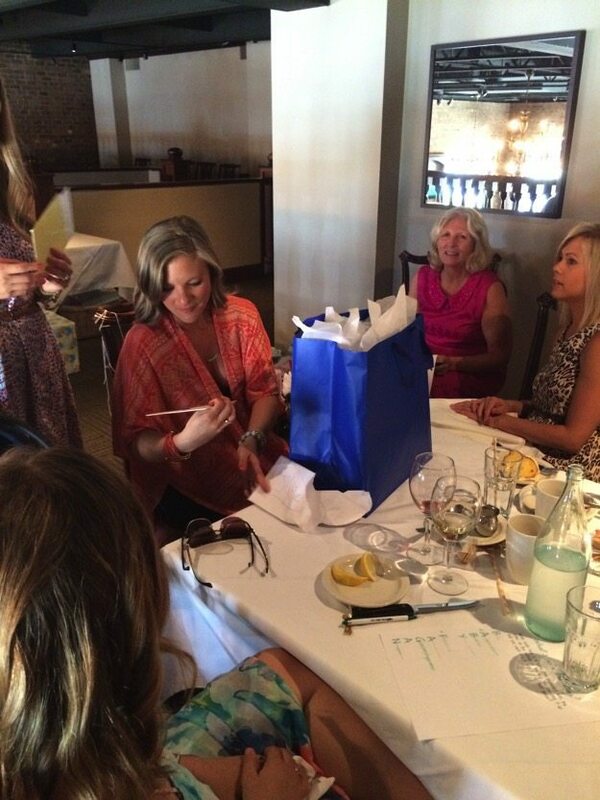 I also read Julie’s blog and saw her post on her baby shower, it looks like it was so beautiful! Also, the smoothie you got from the juice bar sounds so good and refreshing!